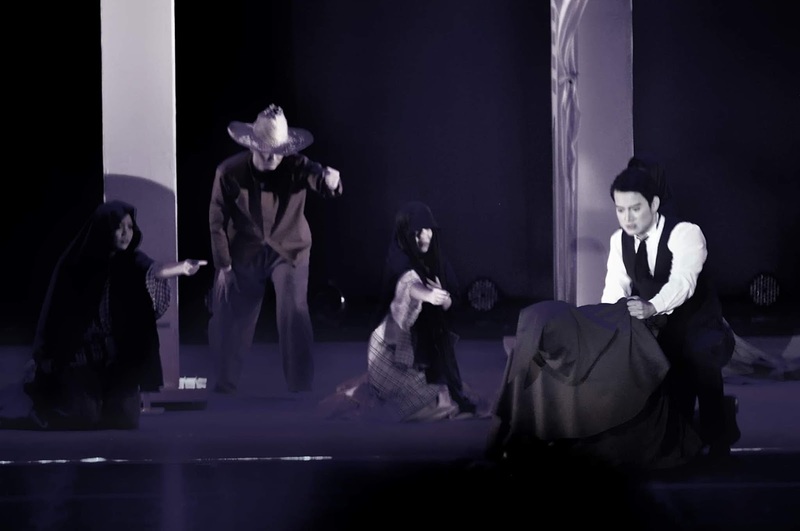 Evo & Grace: The WanderLusts: Kanser 2018, the latest take on Noli Me Tangere. 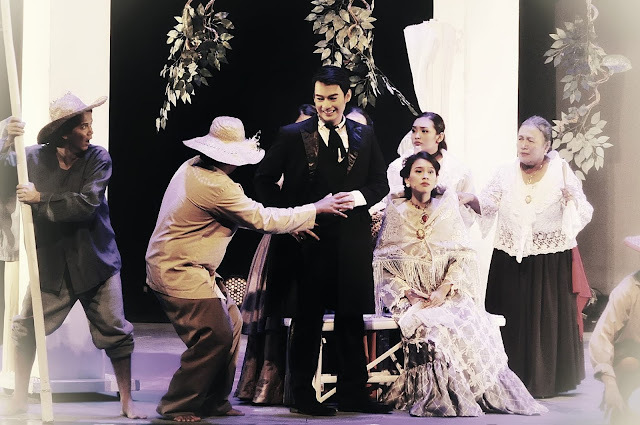 One iconic Philippine theatre experience is Kanser, the stage version of Noli Me Tangere that is written by our National Hero, Dr. Jose Rizal. There are many versions of this play by different theater groups, from musical to straight play. Gantimpala Theater Foundation made it as their own biggest production for so many years, it keep changing and upgrading in many aspects, from color feel, to music ambiance and of course the magnificent cast that is challenge to portray iconic characters onstage. 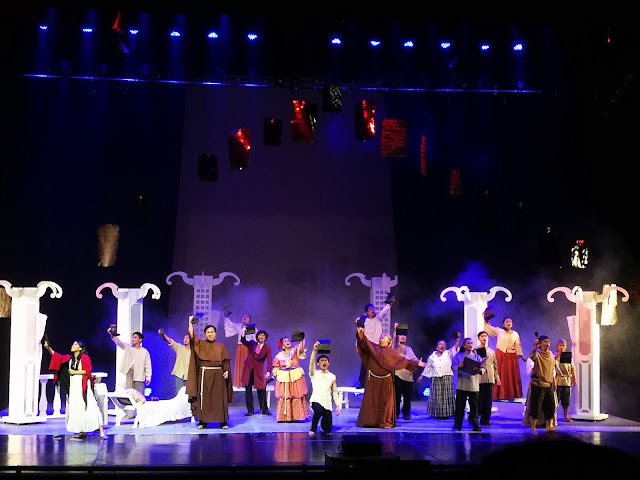 Kanser 2018 proves to adopt the needful in terms of stage show, a showcase of photos and some graphics is on the projector during the performances, some new twist in some remarkable scenes is implemented, like the slapping scene of Maria Clara and Padre Salvi which the audience find it humorous. 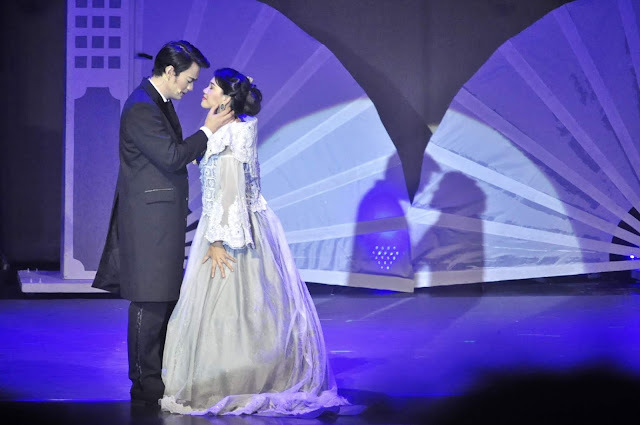 But the kissing scenes of Crisostomo and Maria Clara is always the favorite mostly by the students, they feel the “kilig” somehow. Award winning Director, Actor and Model Frannie Zamora is once again directing this show, according to his statement he incorporate new arrangement of music by Jed Balsamo, and new dance choreography by Lezlie Dailisan to make it more effective and jive to the new generation of theater goers. Kanser as base on Noli Me Tangere tells the story of Crisostomo Ibarra during his return from Europe to his motherland, he find out his father is murdered by some prominent people in the society, he rekindle to his old flame and ignite a call for revolution against the Spanish invaders. 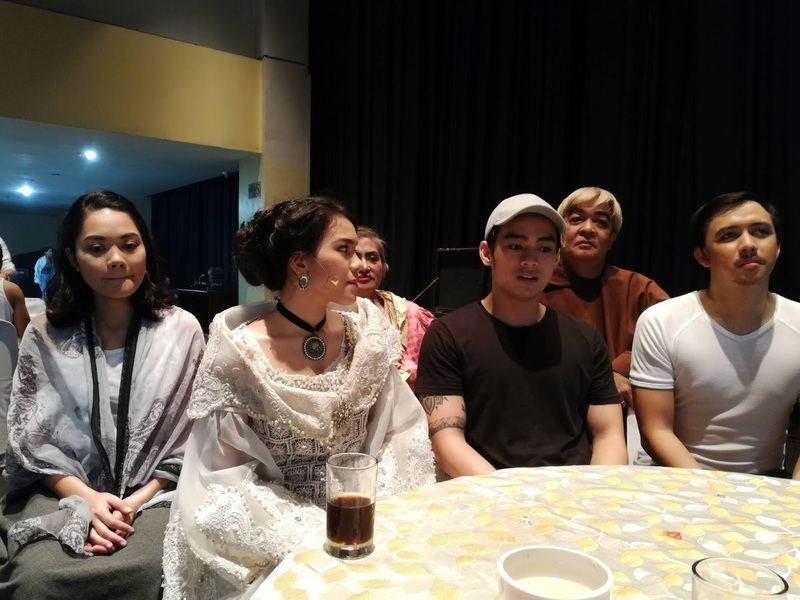 Upcoming TV and movie actor Vance Larena is playing Crisostomo for the 41st season of Gantimpala Theater Foundation, Inc, his good looks and in depth acting gives a fresh style for the portrayal of Ibarra. 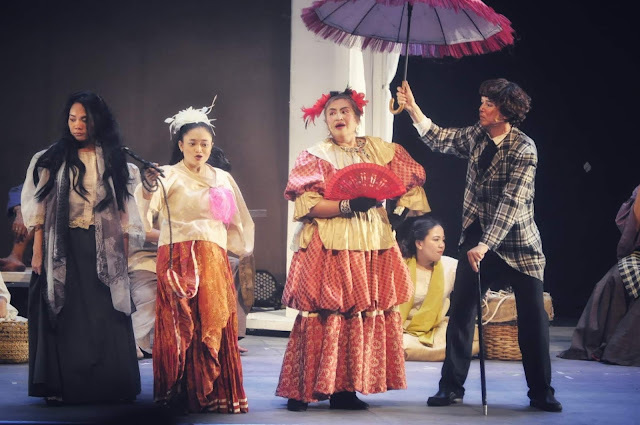 Andrea Manuel as Maria Clara is also perfectly casted, her good singing voice proves to be her asset for the role. The Kanser 2018 cast during the pocket presscon backstage. To catch the longest running play in the Philippines, Kanser is going to SM Southmall in Las Pinas City come October 12 and 13, 2018. For more information and booking reservation, you may contact Gantimpala Marketing Office thru Mobile nos. 0921.2513733/ Tel nos. (02)998.5622 / 872.0261. Special thanks to Erickson Dela Cruz III for the photos.